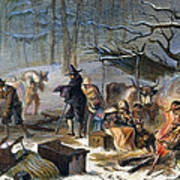 There are no comments for Pilgrims: First Winter, 1620. Click here to post the first comment. 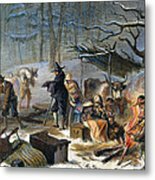 PILGRIMS: FIRST WINTER, 1620. 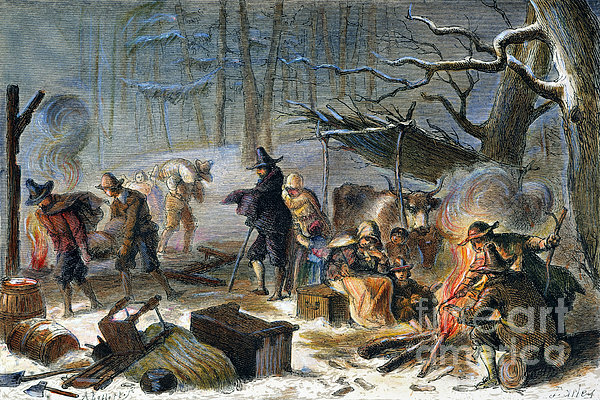 The first winter of the Pilgrims in Massachusetts, 1620: colored engraving, 19th century.